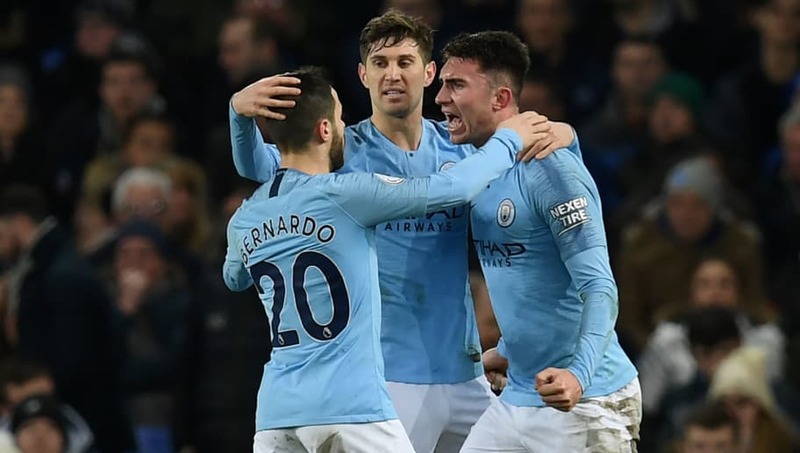 The hosts survived until the brink of half-time, when Aymeric Laporte headed in from David Silva's pin-point free kick to give the visitors a precious lead. 20. CHANCE! An incisive move and @IlkayGuendogan clips the crossbar from @21LVA's cut-back! Minutes earlier, @Laporte was unmarked but could only direct his header wide. Though Marco Silva's half time pep talk may have been altered by the late events in the first half, it certainly had the desired affect as his side came out the stronger of the two and were camped in the City half for the opening exchanges, but ultimately failed to capitalise. The second half petered out with very few chances of note for either side but in the final of the seven minutes added on, ​Gabriel Jesus doubled City's lead, ensuring his side took all three points back to Manchester. With the Goodison faithful seemingly undecided on the preferred outcome, the crowd was flat for much of the game but upon Everton's rare forays forward the audience was lifted and ultimately encouraged by the effort of their beloved players. After seeing their side concede three last time out, they would have been satisfied with the first half performance, as the defence was breached just once after a late lapse in concentration. However, a lack of adventure ultimately cost the home side as they came up against a City side far from their dazzling best. Starting XI: Pickford (5); Kenny (3), Keane (6), Zouma (6), Digne (7); Gomes (6), Gueye (7), Davies (5); Walcott (5), Calvert-Lewin (6), Bernard (5). Substitutes​: Sigurdsson (5), Tosun (4), Richarlison (3). STAR MAN - ​It is difficult to identify a star man for the Toffees as, though resolute as a whole, very few of Silva's men were willing to take the game to City. However, Idrissa Gana Gueye did do his bit to breathe some life into the Everton team and made himself busy throughout, breaking up City attacks at every opportunity. A 25-yard pot-shot was all the Senegal international could truly muster in an attacking sense, but his defensive duties were certainly carried out with aplomb and would have been appreciated by his boss. WORST PLAYER - Jonjoe Kenny was guilty of giving Leroy Sane far too much space in the first half. He lacked composure on the ball and often made the wrong decision, gifting City plenty of chances to threaten Everton's back line and, had Sane been on his mettle, would have gifted City plenty of goals. Guardiola's men did what was required on Wednesday night and secured the three points that saw them displace Liverpool atop the Premier League standings, albeit potentially for a just few days. Mimicking their performance for large parts of the game against Newcastle, City's players appeared weary for much of the affair, with their usual crisp and incisive passing somewhat absent. The Citizens were never truly threatened and will have tougher tests on the horizon, but Guardiola will be expecting more from his players as they push for back-to-back titles. Starting XI: Ederson (6); Walker (3), Stones (7), Otamendi (6), Laporte (8); Fernandinho (6), Gundogan (5), D. Silva (7); B. Silva (6), Aguero (5), Sane (4). Substitutes: Sterling (5), De Bruyne (N/A), Jesus (5). STAR MAN - Though the defender had little to do in a defensive sense, the Frenchman ventured forward at every opportunity and his attacking exploits came to fruition at the end of the first period when his headed effort gave City the lead. Though he is not a full back by trade, Laporte looked poised on the left side of Guardiola's back line and is proving a very capable replacement for the injured Benjamin Mendy. Rock solid and a towering header! @laporte brought the  tonight! WORST PLAYER - Though the German was offered the freedom of Goodison Park by Jonjoe Kenny, he failed to exploit the youngster's frequent lapses in judgement and regularly strayed offside, halting any momentum his side had built up. Guardiola clearly was unsatisfied with the the 23-year-old's contribution and his number was up in the 59th minute, replaced by ​Raheem Sterling. ​City will go into the weekend's set of fixtures top once more, having chipped away at Liverpool's once commanding lead. However, they looked far from their best on Wednesday night and seemed to have little left in the tank after the crucial win over ​Arsenal last weekend. The Citizens are next in action on Sunday when they host Chelsea before a trip to Newport in the FA Cup the week after. For Everton, Wednesday's result means they have now lost four of their last five outings and won just three of their last 13 in the league. With the pressure building on Marco Silva, the former Hull boss will be looking for improved performances against Watford and Cardiff in their next two league outings.